To mark the arrival of Star Wars: The Last Jedi, LEGO has this week brought the ‘real’ heroes of the film to the nation’s capital for fans of all ages. Until the 15th of January, members of LEGO’s free VIP loyalty scheme that buy a LEGO Star Wars set via shop.LEGO.com will automatically be entered into a ballot to be in with a chance to receive their very own LEGO Porg in the new year, the creature adored by stars from the film including Daisy Ridley, Mark Hamill and the film’s director, Rian Johnson – who created them himself. 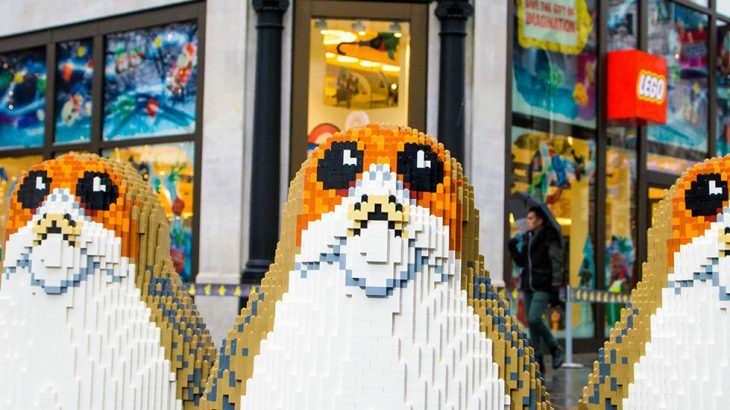 News & Features LEGO, LEGO Star Wars, London, Porg, Porgs, Star Wars. permalink.